There’s a good article over at Digitimes that speculates on the future of the LCD market in 2008. 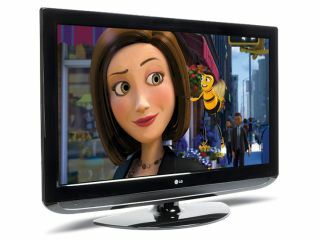 It suggests that the most attractive TV buy in 2008 could be in the 40-inch category. Many industry observers suggest that our appetite for LCD panels in TVs and monitors, digital photo frames, laptops, phones and digital cameras will continue unabated this year. But the biggest growth area for LCD in 2008 is undoubtedly in the HDTV sector. Manufacturers such as Samsung, LG.Philips and Sharp have all invested in new 8G and 8.5G plants designed to crank out larger (i.e. 40- to 60-inch) LCD panels. LCD quality has improved dramatically in the past two years. So much so, suggests Digitimes, that it's now "poised to compete with PDP technology in 50- and 60-inch segments". The 42-inch Philips Aurea, for example, uses a panel with a 3ms response time. Combined with 100Hz frame rate conversion and Perfect Pixel HD processing it’s capable of producing a stunning HD picture. As new 50- and 60-inch panels become cheaper to produce, production costs will also fall for smaller panels. This is where 42-inch TVs could benefit most. For while 32-inch LCD TVs will remain the most popular choice for many consumers, we may not see further dramatic price cuts at this panel size. "If supply for 32-inch TV panels continues to run tight," suggests Digitimes, “LCD brand makers may not drop prices ... further due to profit concerns. Therefore, brand makers may opt to adjust 40-inch class TV prices to stimulate demand".